Mix all the ingredients except oil. Keep the batter not too thick. 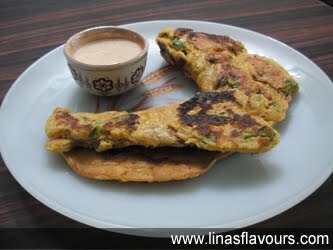 Take a tawa and cook pudlas on both the sides smearing it with oil till it is light brown. Serve it hot with garlic curd or tomato ketchup.